Gary Toman has extensive experience representing corporations, banks and professionals in complex litigation and arbitration matters and business disputes. Gary has substantial experience defending corporations in a wide variety of class actions. His practice includes litigation involving business and financial transactions, product liability, business torts, contract matters including participation agreements, shareholder agreements, and non-competition agreements, and environmental, real estate and intellectual property matters. Gary has also handled cases and counseled clients in the healthcare field regarding antitrust issues, practice disputes, employment law matters and other disputes. 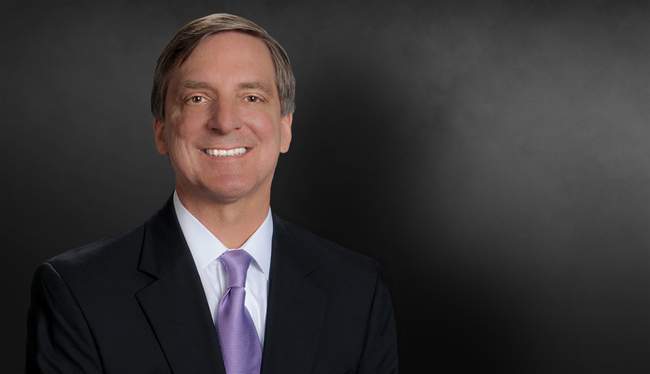 An experienced appellate advocate, Gary began his career as a law clerk to the Honorable R. Lanier Anderson, III of the United States Court of Appeals for the Fifth and Eleventh Circuits. He has briefed and argued cases in federal and state appellate courts across the country. Gary often serves as appellate counsel at trials to frame the record for possible appeal. Successfully defended and obtained summary judgment dismissing all claims asserted against a community bank who had acted as lead bank under a participation agreement. Successfully prosecuted claims by community banks against lead bank for breach of participation agreement regarding defaulted development loan. Successfully defended physician practice against claims asserted by employee physician, obtaining summary judgment that was upheld on appeal. Successfully defended apartment complex owners and managers in premises liability / negligent security case. Client found 1% at fault in death of young man on apartment complex property. Successfully defended property owner in action by agent claiming to be a proxy cause of a sale. Successfully represented executor in wrong constructive trust on real estate. Successfully defended banks in litigation regarding failed development loans. Lead counsel in successful Georgia Supreme Court appeal creating important precedent regarding personal jurisdiction in equity cases. Skaliy v. Metts, 287 Ga. 777, 700 S.E.2d 357 (2010). Participated in successful international arbitration to recover forfeited performance bond and attorneys’ fees for the arbitration. Won substantial arbitration award for physician against former practice group for breach of contract and business torts. Lead counsel in successful work-out of business dispute regarding transfer of ownership of portfolio of credit card accounts. Successfully represented national environmental organization to enforce terms of conservation easement. Successfully handled numerous fraud cases involving life insurance and other financial transactions. Participated in the successful defense of a number of consumer class actions involving financing transactions, regulatory and other matters.